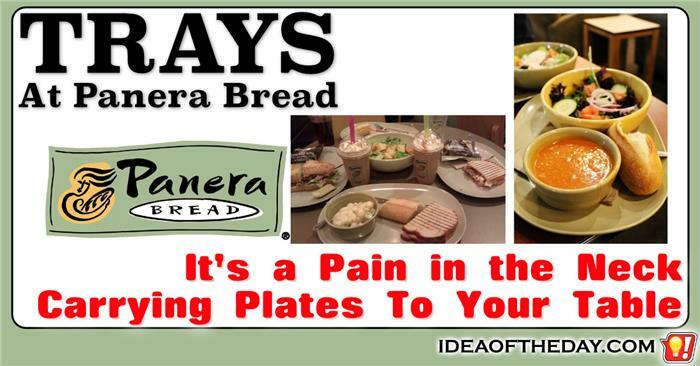 Why doesn't Panera Bread offer you a tray to carry your food to the table? It's a real pain in the neck bringing food to the table at Panera Bread, especially if you've got more than one person with you. 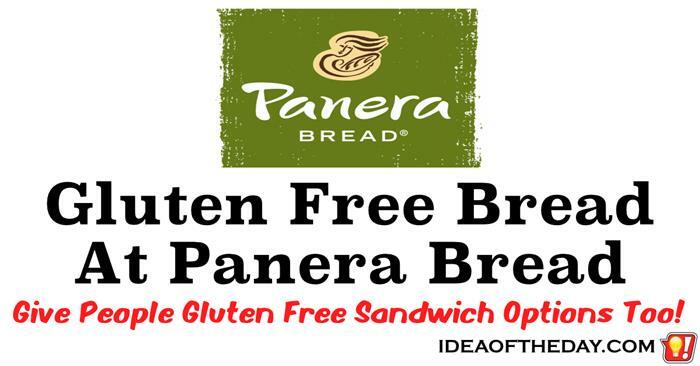 I love Panera Bread, but they need some gluten free bread options. One of the things that makes Panera Bread different from most restaurants is the quality and variety of freshly baked breads they carry. Obviously, with a name like Panera Bread, that's exactly what you would expect, a wide variety of bread. For a company that specializes in making a wide variety of breads, it's odd that gluten free bread isn't an option.